Families that are dealing with mitochondrial disease are very fortunate to have one of the leading mitochondrial specialists in the country right here in Seattle. 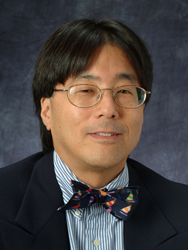 Dr. Russell Saneto is part of the University of Washington’s School of Medicine; Pediatrics Department and is part of the Division of Neurology that is based at Seattle Children’s Hospital, where he is currently the acting co-Chair of the Division of Pediatric Neurology. Dr. Saneto’s clinical interests are in the areas of epilepsy, EEG-video telemetry and mitochondrial disorders. His area of focus for research is the detection and treatment of pediatric epilepsies caused by mitochondrial disease. Dr. Saneto is boarded in Neurology, with special emphasis in Child Neurology and Epilepsy by the American Board of Psychiatry and Neurology. Prior to coming to Seattle, Dr. Saneto did his pediatric residency, pediatric neurology fellowship and pediatric epilepsy fellowship at the Cleveland Clinic after completing medical school in three years and graduating from Des Moines University, School of Osteopathic Medicine and Health Sciences in 1994. Prior to going to medical school Dr. Saneto received his PhD in human biochemical genetics at the University of Texas and did a postdoctoral fellowship in developmental neurobiology at UCLA. He also spent time as an assistant professor in Cell Biology and Anatomy at Oregon Health Sciences University. Dr. Saneto joined Children’s Hospital and the University Of Washington School Of Medicine in the fall of 2001 and he is one of less than 50 doctors around the country that is focusing on mitochondrial disease and is the only doctor focusing on pediatric epilepsy associated with mitochondrial disease. Dr. Saneto became interested in mitochondrial disease while a pediatric neurology fellow at the Cleveland Clinic as his mentor (Dr. Bruce Cohen) was interested in this disorder. Currently, he is actively involved in the Mitochondrial Medicine Society, serving both as the President, Secretary and Treasurer as well as on the Mitochondrial Medicine Society’s committee on diagnosis. He is also the Principle Investigator for the NIH Natural History Study of Mitochondrial diseases at Seattle Children’s Hospital. 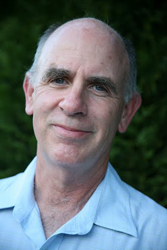 Phil Morgan, MD, is a principal investigator at Seattle Children’s Research Institute. He is also a professor in the Department of Anesthesiology and Pain Medicine at the University of Washington and Seattle Children’s Hospital. He joined Seattle Children’s in 2008 after working more than 20 years at Case Western Reserve University, where he and Margaret Sedensky, MD, became recognized as leaders in understanding anesthetic interactions in mitochondrial disease. He received an MD from the University of Colorado School of Medicine and he completed a residency and fellowship in anesthesiology at the University Hospitals of Cleveland, and a fellowship in pediatric anesthesiology at the University of Washington. Dr. Morgan’s research has been focused on the mechanisms that determine sensitivity of mitochondria to anesthesia. Children with mitochondrial disorders have a high likelihood of undergoing a surgical procedure at some point in their treatment, often coupled with complications from anesthesia. One of Dr. Morgan’s major research aims is to help tailor anesthesia by dosage and type to provide the lowest dosage possible for children with mitochondrial diseases. Seattle Children’s mitochondrial patients undergoing procedures requiring anesthesia have already experienced Dr. Morgan’s dogged commitment to their best possible outcome. Families credit his compassionate concern and willingness to individualize anesthesia to their child’s condition with allaying much of the anxiety connected with surgery. For more information on the Morgan Laboratory click here. Margaret Sedensky, MD, is a principal investigator at Seattle Children’s Research Institute and a professor in the Department of Anesthesiology and Pain Medicine at the University of Washington. She joined Seattle Children’s in 2008 after working more than 20 years at University Hospitals of Cleveland, Case Western Reserve University School of Medicine. She and Phil Morgan, MD, are recognized as leaders in understanding anesthetic interactions in mitochondrial disease. She received an MD from the University of Colorado School of Medicine and completed residencies at University Hospitals of Cleveland and a research fellowship in anesthesiology at the University of Washington. Dr. Sedensky’s lab has had a longstanding interest in anesthetics and the role of mitochondria in determining different aspects of behavior, including sensitivity to anesthetics. Her current research includes studies to better understand whether children with mitochondrial dysfunction are more sensitive to gaseous anesthetics. She also plans to study whether particular intravenous anesthetics are safe in children with mitochondrial disease. Working in close partnership with her husband, Dr. Phil Morgan, who is an attending anesthesiologist at Seattle Children’s Hospital, her work is genuinely “translational research.” This means her research is “translated” into real therapies for real patients. Mitochondrial patients undergoing surgical procedures requiring anesthesia are already benefiting from changes in procedures based on this research. Dr. Sedensky’s goal is to ultimately prevent unexplained poor outcomes post-anesthesia for patients with mitochondrial disease. Starting in May 2019 Dr. Simon Johnson will be an Assistant Professor in Neurology and the Center for Integrative Brain Research at the University of Washington and Seattle Children’s Hospital Research Institute. Prior to joining Seattle Children’s Research Institute, Dr. Johnson helped identify the mTOR complex as a promising new target for the treatment of genetic mitochondrial disease, which has recently led to promising results in a group of adult patients. Dr. Johnson is working to define the molecular and cellular mechanisms underlying clinically relevant symptoms in mitochondrial disease, with the goal of understanding which cell types and processes are important for individual aspects of mitochondrial disorders. In particular, he is focused on the severe central nervous system and metabolic components seen in pediatric mitochondrial disease, such as seizures, brain lesions/degeneration, and mitochondrial disease metabolic disease. He is also studying the impact of mitochondrial-toxic compounds, and his laboratory is performing drug screening in cultured cell and mouse models aimed at identifying better compounds and targets for clinical treatment of mitochondrial disease. 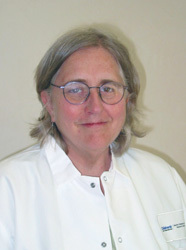 Dr. Johnson studied biochemistry and biophysics at Oregon State University, pathology and the molecular mechanisms of disease at the University of Washington, and genetics at Albert Einstein College of Medicine. 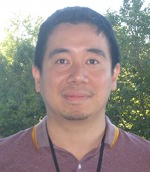 Dr. Sirisak Chanprasert joined the University of Washington School of Medicine in January 2017 as an assistant professor in the Division of Medical Genetics. Dr. Chanprasert’s clinical interests are in the areas of metabolic and mitochondrial diseases. His area of focus for research and practice is the transition of care from children to adulthood in individuals with mitochondrial disorders. He is certified by the American Board of Internal Medicine, Clinical Genetics, and the American Board of Medical Subspecialty, Medical Biochemical Genetics. There have been only five physicians in the US since 1982 who are tripled boarded in internal medicine, clinical genetics, and medical biochemical genetics. Dr. Chanprasert went to medical school at Faculty of Medicine Siriraj Hospital Mahidol University in Bangkok, Thailand. He did internal medicine residency at Bassett Medical Center in Cooperstown, NY. After NY, Sirisak moved to Houston to do medical genetics and medical biochemical genetics at Baylor College of Medicine from June 2014 to July 2015. In addition, he did an Academic and Research Fellowship in mitochondrial medicine at Seattle Children’s Hospital and Seattle Children’s Research Institute from July 2015 to June 2016. Sirisak’s mentors are Drs. Saneto, Morgan, and Sedensky and he is looking forward to partnering with both of them as well as Dr. Saneto.